Robover provides insulating glass units that meet high industry standards. The units are designed with products chosen for their efficiency and proven quality. As an example, the sealants used in their fabrication have all passed the strictest European tests. Robover uses one-piece Intercept and Swisspacer spacers. This allows them to eliminate the plastic corners that often cause gas leakage and let water vapour get in between the panes of glass. A one-piece joint like those used by Robover ensures that the insulated glass units will have an optimum lifespan. Robover’s renowned attention to detail at every stage in the fabrication process is second to none. Robover works with two types of spacer: Intercept and Swisspacer. 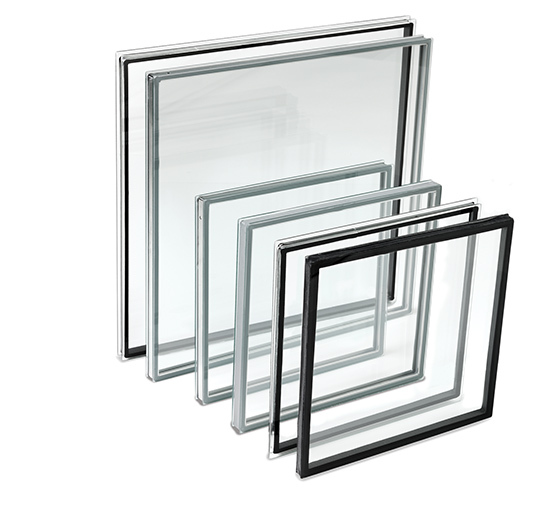 Since spacers are essential components of insulating glass units, they need to meet exact specifications. Robover uses the best products available for argon retention, energy savings, leaktightness and aesthetics. The Intercept is far the most popular spacer on the market. These spacers have been used in over one billion windows in North America and offer exceptional performance, thanks to their distinctive solidity, durability and intelligent design. First, the Intercept Ultra spacer used by Robover is designed with stainless steel, an alloy that offers superior thermal performance. With its patented U-shape design, it matches the way glass contracts in the cold and expands when the temperature warms up. It has a longer period of resistance to penetration by water vapour and retains gases longer. This one-piece spacer with no notched corners is a major improvement in leaktightness, and the most robust solution on the market. Join Glenn in his lab as he puts the Intercept stainless steel spacers to the test against foam spacers. The Swisspacer has been manufactured in Switzerland since 1998 and is exported around the world. The Swisspacer Ultimate used by Robover is made from a composite material that improves insulation and saves large amounts of energy. Its ingenious fabrication process gives it many important positive qualities. The Swisspacer Ultimate is reinforced with fibreglass and has remarkable insulating proprieties both summer and winter. The glass remains warmer so the cold does not spread as quickly. This means that the risk of condensation and mould is negligible. Moreover, the thin membrane used in the Swisspacer is 100% impermeable to gas and moisture. It adheres uniformly to the sealant, improving energy performance. Swisspacer come in black, grey, white and dark brown, with a clean matte finish. The corners are bent instead of notched, so they form a one-piece joint that is extremely leaktight. Insulating glass units made with Swisspacer Ultimate spacers have been tested not once but twice against the CAN/CGSB-12.8 standard for IGMAC certification. They again exceeded the requirements of the performance standards for argon filled insulating glass units! All the fabrication details for the Swisspacer Ultimate, taken together, make all the difference and rank it as the best warm edge spacer in the world. See how Swisspacer makes you save.